A film by Japanese moviemaker Hirokazu Kore-eda which competed in the Cannes Official Selection. Three sisters share a house in the city. They haven’t seen their father for 15 years. When he dies, the three travel to the countryside for his funeral. There they meet their shy teenage half-sister. It won't be long before they grow fond of the girl. 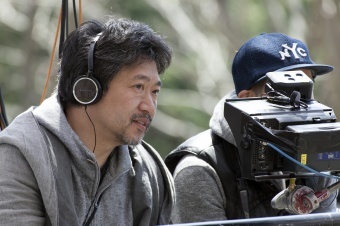 Hirokazu Koreeda shot his first film, Maboroshi no hikari, in 1995, winning the Golden Osella in Venice. Distance (2001) was selected for Cannes, where the star of his following title, Dare mo shiranai (Nobody Knows) won an award in 2004. He competed in the San Sebastian Official Selection with Wandafuru raifu (After Life, 1998), Hana yori mo naho (Hana, 2006), Aruitemo, aruitemo (Still Walking, 2008) and Kiseki-I Wish (2011), winner of the Best Screenplay Award. Shoshite chichi ni Naru (Like Father, Like Son, 2013) won the Jury Prize at Cannes and the Audience Award at San Sebastian.